The East River Fifties Alliance (ERFA) has the extraordinary news that the City Planning Commission has adopted their rezoning efforts. The East River Fifties is the area from East 52nd Street through East 59th Street, east of First Avenue. Their goal was to update 1960’s era R10 zoning to provide a more timely alternative that would not spot zone but rather reevaluated the neighborhood and provide height limits for buildings. Greeted with resounding support from Council Member Ben Kallos, the neighbors raised money for the study and hired lawyers and experts to protect their blocks from out-of-scale development. 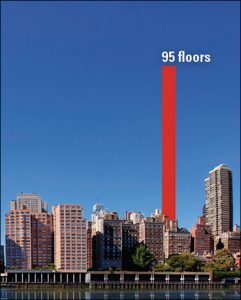 The developer of a proposed 95-story tower on Sutton Place has already vowed to take this issue to the Board of Standards and Appeals but in the mean time, ERFA stands as a model for community response to developers. As we say, if it can happen in the Upper West Side, it can happen anywhere, well, let’s hope what can happen on the Upper East Side in this case, can be inspiration for our skyline.